A recent article from art blog Hyperallergic explores the art of the bookplate. Bookplates have been used for centuries to indicate ownership of books, and, as the article notes, can be used to trace the provenance of books. The APRL’s collection includes many bookplates from famous philatelists, including Stanley B. Ashbrook, Creighton C. Hart, and H.E. Deats. The next time you check out a book, you could be holding a book that was once read by a member of the APS Hall of Fame! 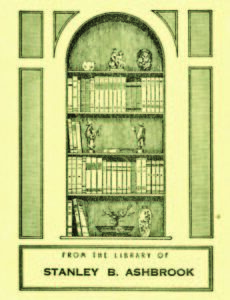 We also use bookplates to show that books have come to us as part of a society library, for example the State Revenue Society or the Polonus Philatelic Library, or in honor or memory of an individual. 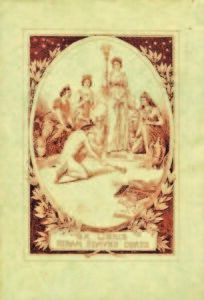 Brian Birch has written a nearly 1,000-page book on philatelic bookplates, which you can read online via the FIP Literature Commission website.